Let us help you save 20% to 50% on your dental care. Save on trips to the pharmacist, dentist and optometrist, and give yourself access to DialCare's nationwide network of doctors available 24 hours a day, 365 days a year with the Solidarity HealthShare Plan. Careington has owned and managed dental networks for 40 years and has recently contracted with DenteMax, another quality dental network provider, to create a combined national discount dental network with significant nationwide presence. This combined network is known as the Maximum Care Discount Network. The Maximum Care Discount Network creates one of the largest national dental networks and focuses on local, neighborhood dentists. The network combines the outstanding network management skills of two great organizations and results in discounts of 20% to 50% below the 80th percentile of Reasonable and Customary charges. *Regular cost is based on the average 80th percentile usual and customary rates as detailed in the 2018 FAIR Health Report in the Los Angeles, Orlando, Chicago & NYC metropolitan areas. **These fees represent the average of the assigned DN14 fees in the Los Angeles, Orlando, Chicago & NYC metropolitan areas. 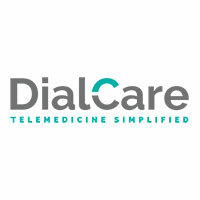 DialCare is a modern, easy-to-use telemedicine solution for non-emergency illnesses and general care. 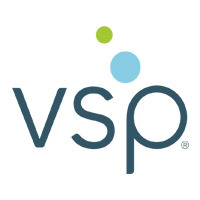 Members have direct access to state-licensed and fully credentialed doctors, via phone or video consultations, to receive treatment and advice for common ailments, including colds, the flu, rashes and more. Doctors are available 24 hours a day, 365 days a year, allowing members and their families convenient access to quality care from home, work or on the go. When medically appropriate, a DialCare doctor may prescribe a short term, non-DEA controlled medication that they can pick up at the pharmacy of their choice. This plan does not meet the minimum creditable coverage requirements under M.G.L. c. 111M and 956 CMR 5.00. This plan is not a Qualified Health Plan under the Affordable Care Act. This is not a Medicare prescription drug plan. The range of discounts will vary depending on the type of provider and service. The plan does not pay providers directly. Plan members must pay for all services but will receive a discount from participating providers. The list of participating providers is on this website. A written list of participating providers is available upon request. Discount Plan Organization and administrator: Careington International Corporation, 7400 Gaylord Parkway, Frisco, TX 75034; phone 800-441-0380. This plan is not available in WA and MA.